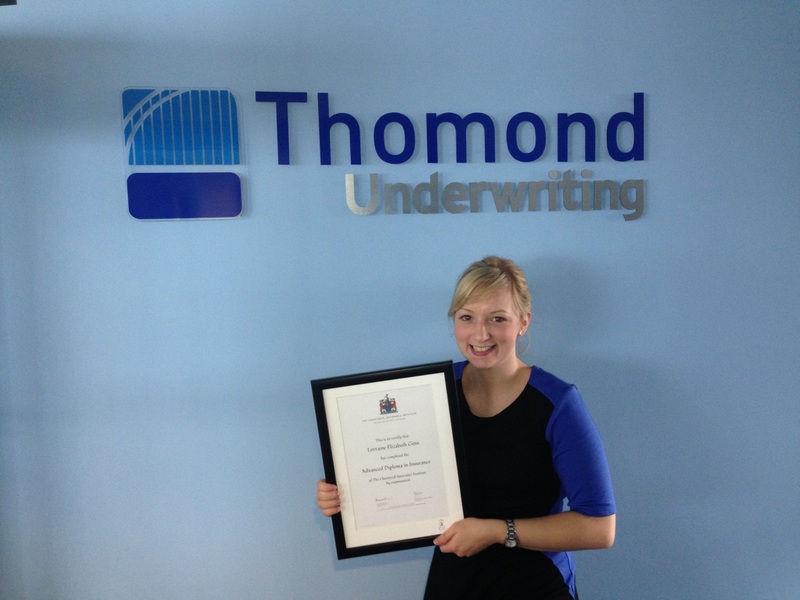 Lorraine Simpson passed her final exam in February 2013 and is now ACII qualified. Lorraine joined TUL in June 2008 and after a successful start in Credit Control, progressing to Team Leader, Lorraine has recently moved to an Underwriting role. Thomond would like to Congratulate Lorraine on her hard work and dedication to achieving her ACII and wish her all the best in her future role.